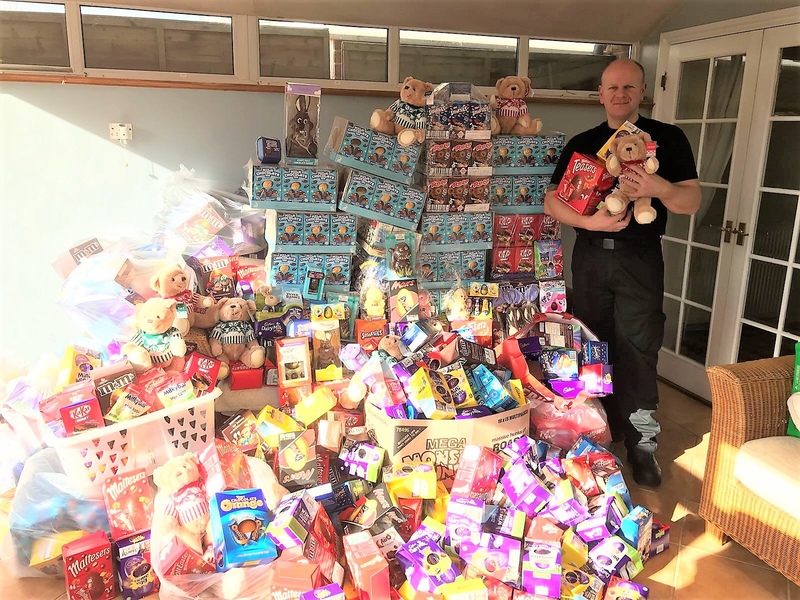 This is the sixth year Simon has successfully taken on the challenge of the annual egg collection, seeing him collect nearly 7,000 eggs to date, bringing a smile to the faces children unable to be at home for Easter or facing family hardship. “Six years ago, I responded to an advert from a travel agent collecting eggs for charity. I dropped by and said I could help them out, as my daughter had spent some time in Great Ormond Street hospital. That year I collected over 300 eggs. “Every year the numbers grew. In 2015 the ‘Made in Portugal (MIC) grupo motards’ motor cycle group got involved. That’s when the numbers exploded to over 800. Since then the group have donated a huge number of eggs each year, collected at barbecues where guests are encouraged to donate an egg instead of payment. “In recent years, another Portuguese motor cycle club, ‘Lusitanos grupo motards’, have contributed. We now meet every year at the airport’s Aerozone to catch up. Kind and generous people from both groups will go above and beyond to support the collection in rain or shine, and I’m privileged to call them my friends. “One year, a lollipop lady in Halstead stopped traffic to donate an egg she had kept with her for days until she saw me. “Last year we had another record-breaking year, collecting over 1,700 eggs thanks to an amazing response from the local community and supermarkets. I’ve had support from so many people; terminal and airside security colleagues, the London Stansted Airport passenger fund, Harrods Aviation, Titan Airways, Stansted Airport fire service plus colleagues at Essex County Fire & Rescue, The MIP and Lusitanos Motards motorcycle clubs. Eggs are being delivered to hospitals in Colchester, Chelmsford, Southend, Basildon, Princess Alexandra children’s wards and A+E, Broomfield Hospital children’s burns unit plus to the Children in Care charity, Pauls House the Clic Sargent charity house near Euston station London and Harlow Home-Start. Deliveries will also be made to Little Havens hospice and Fairhavens hospice, St Clare`s Hospice and St Elizabeth`s Centre.